HomeFirst Look @ “Street Pianos Boston” Which Begins Tomorrow! First Look @ “Street Pianos Boston” Which Begins Tomorrow! 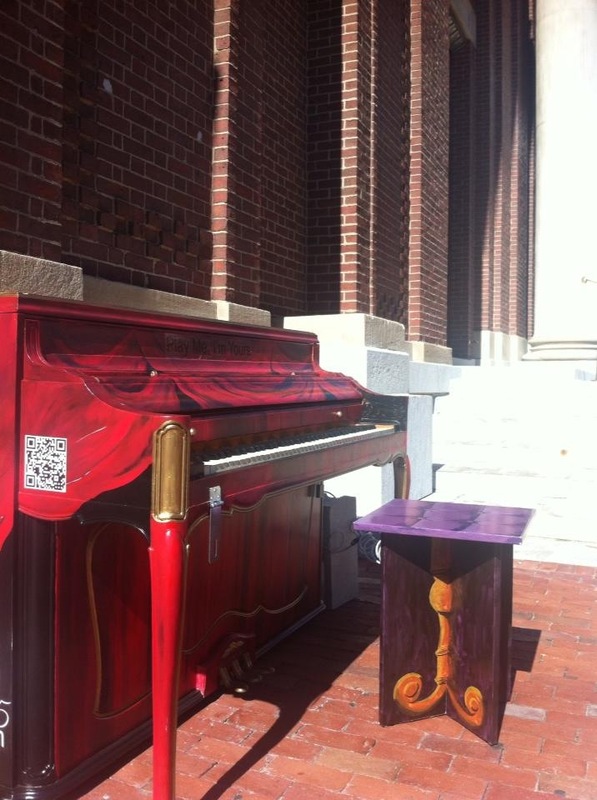 I’m so excited about this art/”sound” installation; 75 pianos painted by local artists will be placed on the streets of Boston, Cambridge, Somerville and other Boston area neighborhoods for absolutely anyone to play! 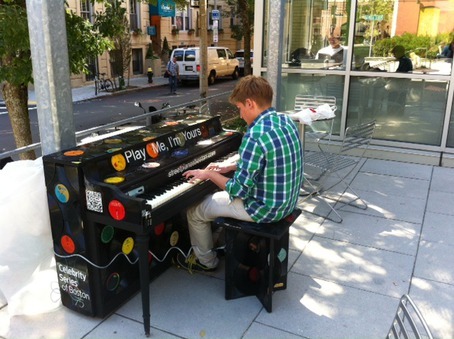 All the pianos hit the streets tomorrow, Friday, September 27. Here’s the map, with a lot of pianos already in their locations; click on the icons to see the piano and its location! One mom and her son from my studio are already on board to go to this event with me, we were thinking it would be fun to have other students/parents join us, and either taking the train in from Gloucester station, or all piling into a mini van/SUV. So parents, if you’re interested, contact me so we can plan a mutually convenient date (Sat/Sun); the event runs from Sep 27 through October 14. Adult students, please join us too! And any other friends too! 🙂 Can’t wait, it’s going to be a great piano adventure. This one’s in Boston Common! And here’s the one in front of Berklee College of Music. 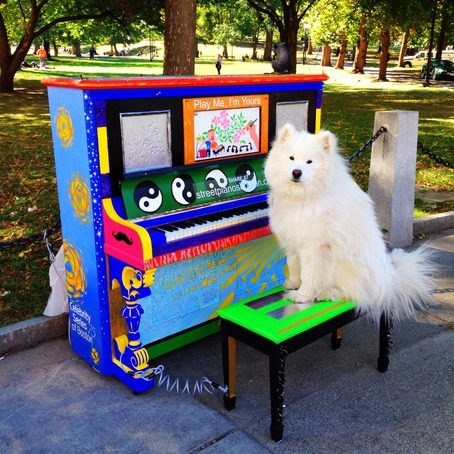 Play Me, I’m Yours – The Boston Street Piano Festival includes FAQs on where the pianos will be located (coming out tomorrow) and how you can nominate pianos to be donated to worthy causes. ← Adult Students (and kids! ): How Much Should I Practice Each Day?